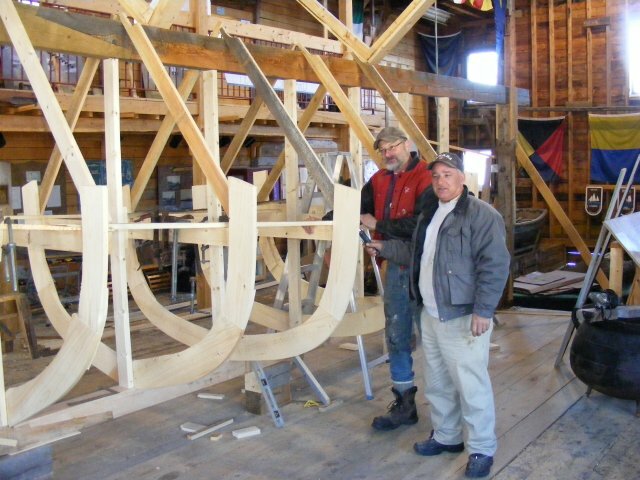 The 225th anniversary of the Loyalist landing at Shelburne was celebrated in 2008. 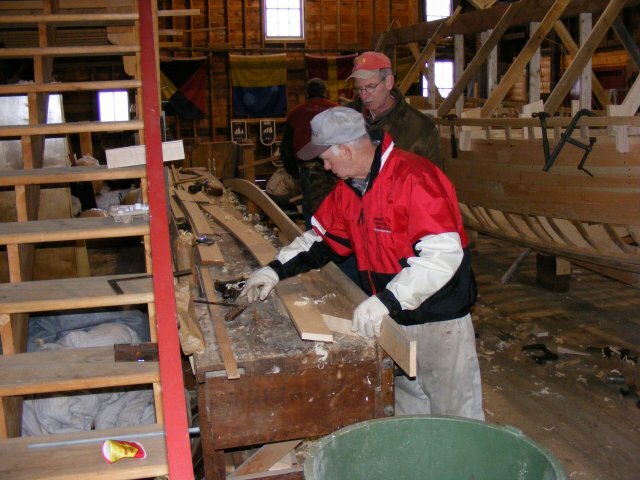 Based on this important milestone in the area’s history and inspired by the Bicentennial celebrations of 1983, the Loyalist Landing 2008 Society (LL08 Society), a wholly volunteer non-profit organization, planned and executed a year-long celebration to mark the anniversary. 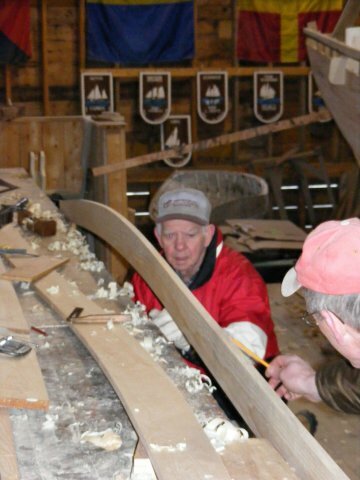 By far the most visible and important legacy left by the LL08 Society is the two Shelburne Longboats. 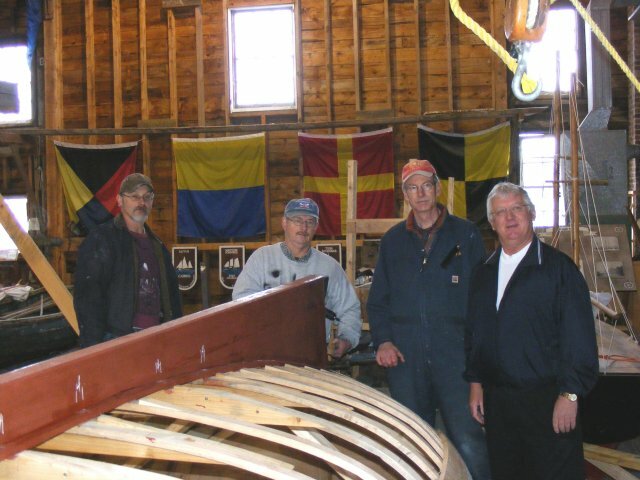 The boats were built for, and as part of, the Loyalist Landing 2008 celebrations. 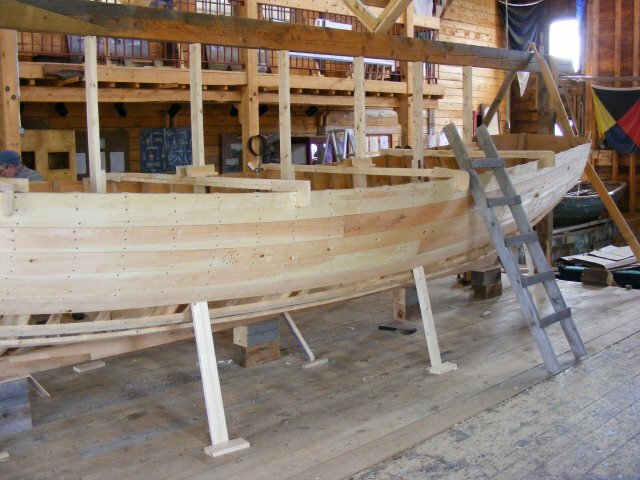 Replicas of HMS Bounty’s launch, the Shelburne Longboats took centre stage in many of the year-long anniversary activities. 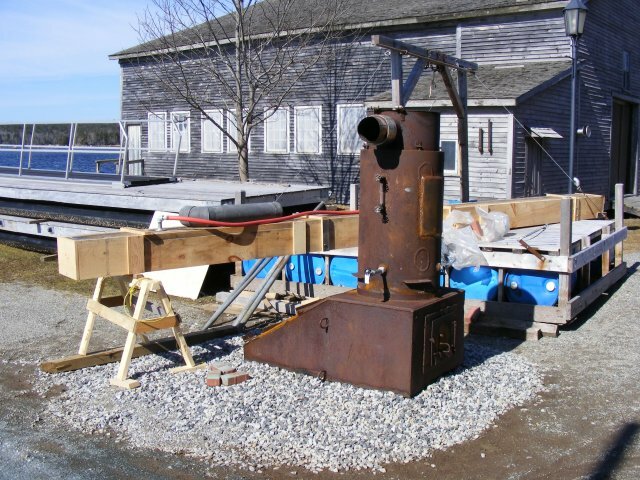 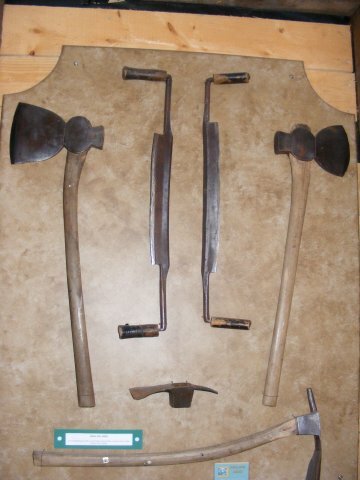 These included staged reenactments of the first Loyalist landing, mock battles on the waterfront, the extremely popular mock ship attack and burning, a reenactment of the landing of Governor Parr, Longboat races and “political” boat races. 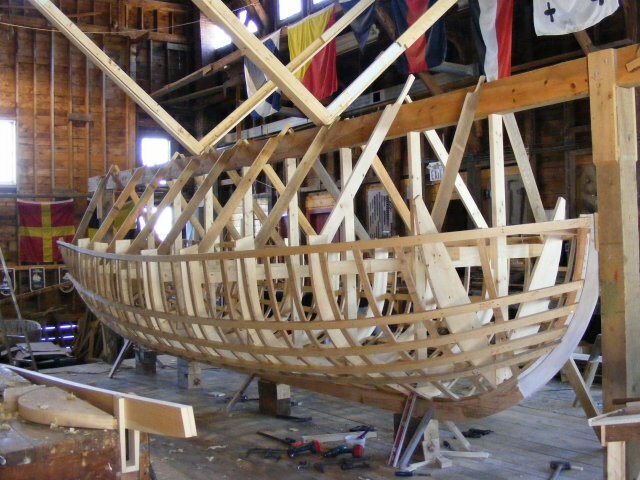 The Longboats were also used in the filming of two documentaries, featured on the NBC Today Show, were the subject of two segments of CTV’s Live at 5 and were written about extensively in several media. 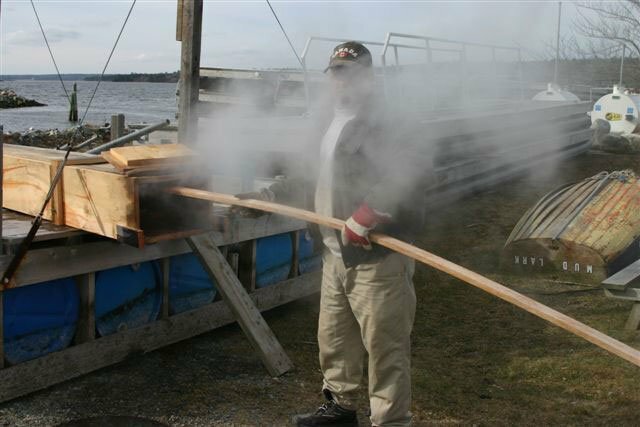 The boats were also featured in a mock ship attack at the 2008 Mahone Bay Classic Boat Festival. 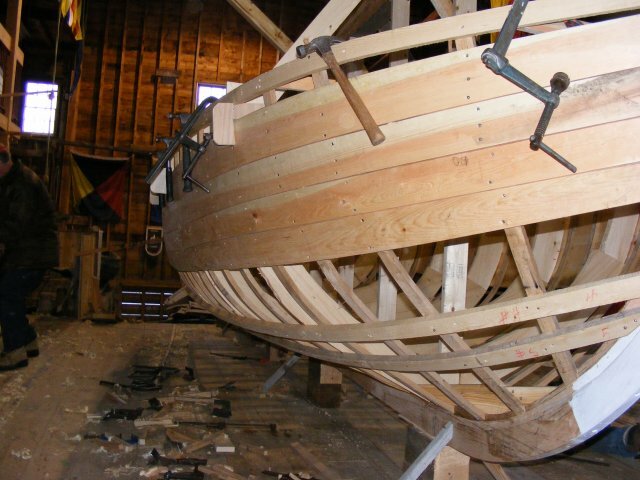 The Shelburne Longboats were indeed the stars of the Shelburne waterfront during the 2008 celebrations with locals and visitors snapping pictures at every opportunity of the boats sitting at their moorings or being rowed around the harbour. 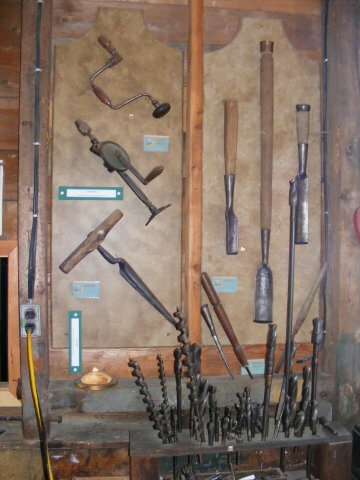 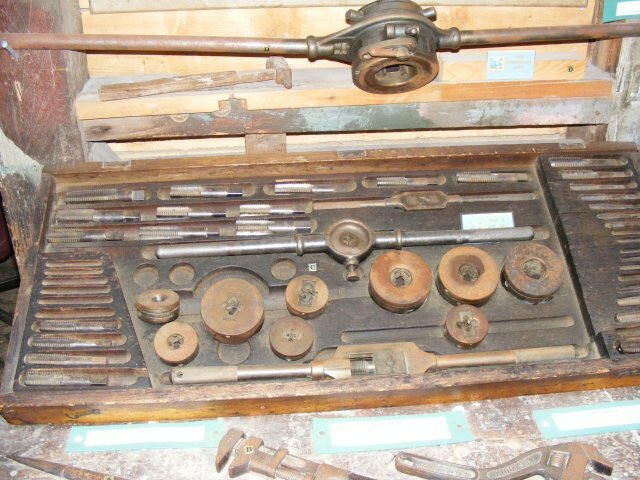 A logical conclusion to building and owning these assets was the creation of an organization to oversee their maintenance and use. 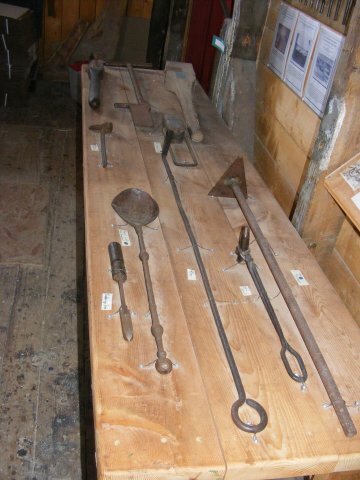 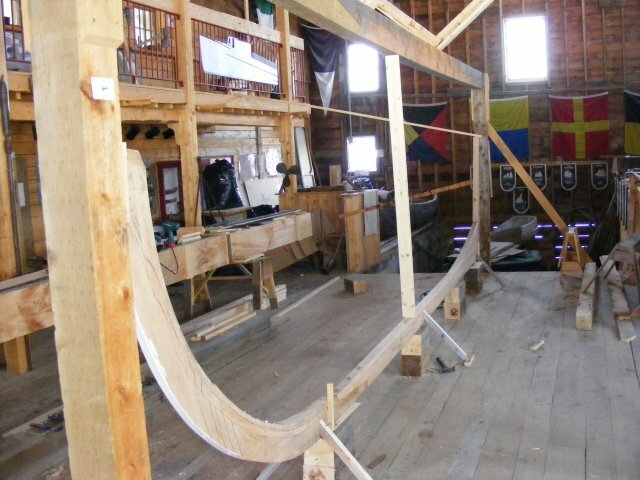 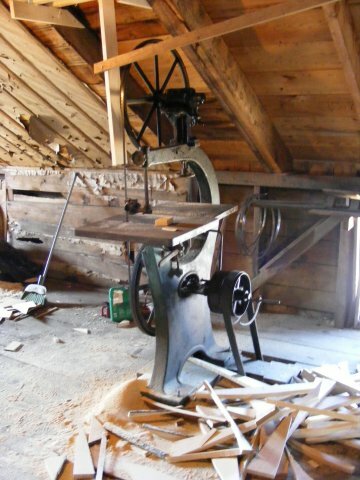 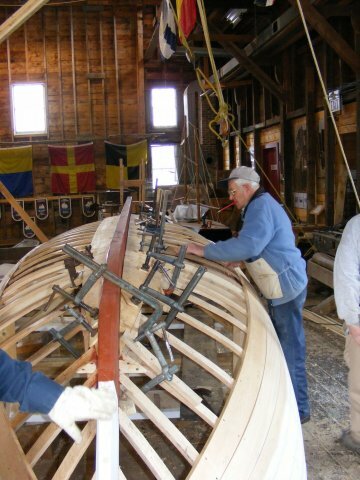 As a result, the Shelburne Longboat Society was established. 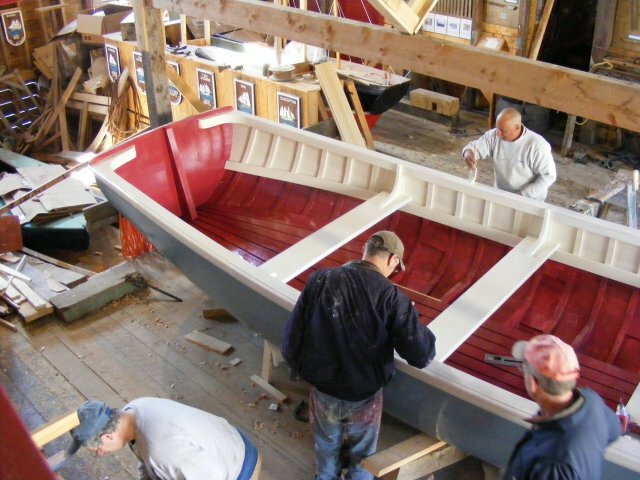 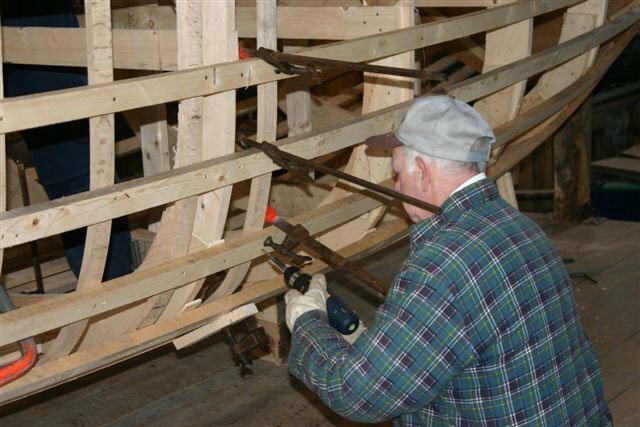 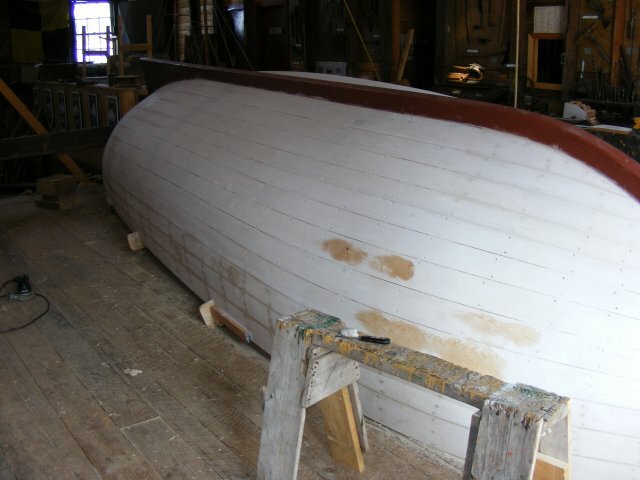 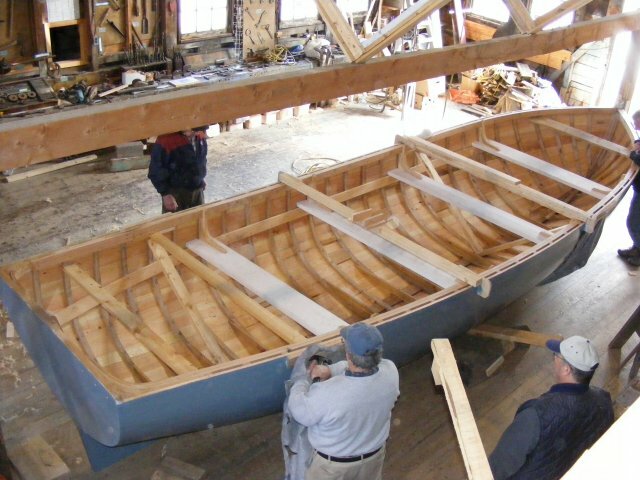 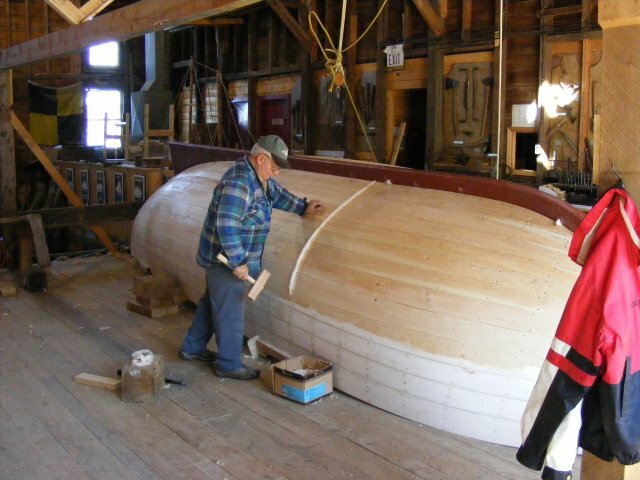 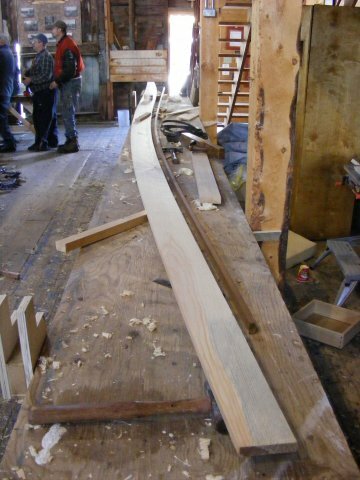 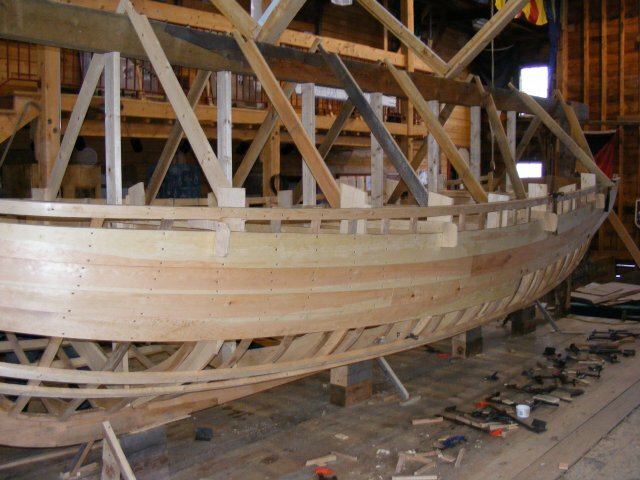 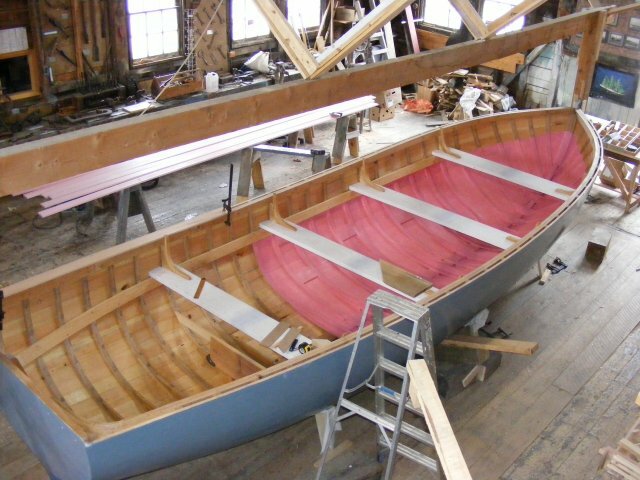 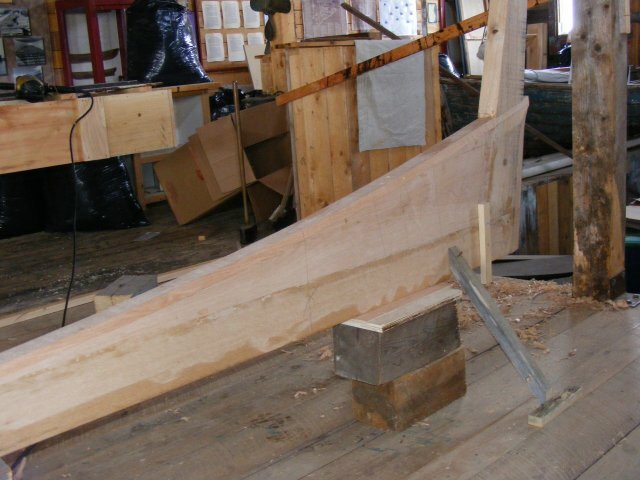 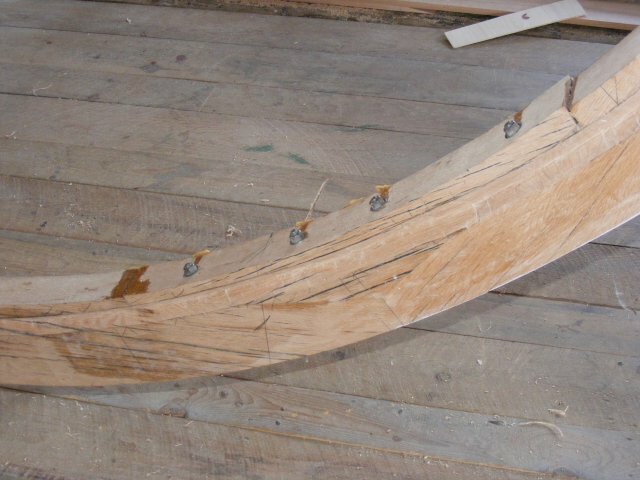 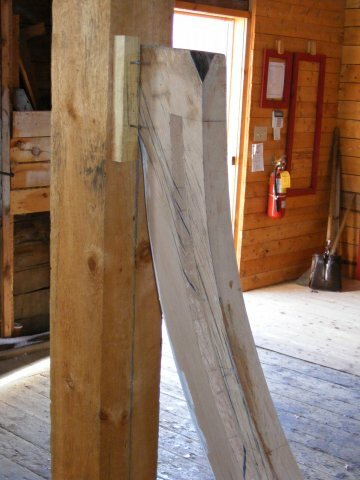 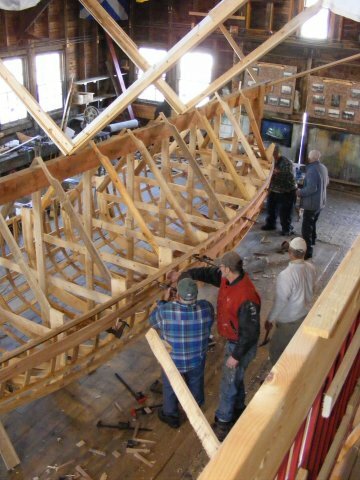 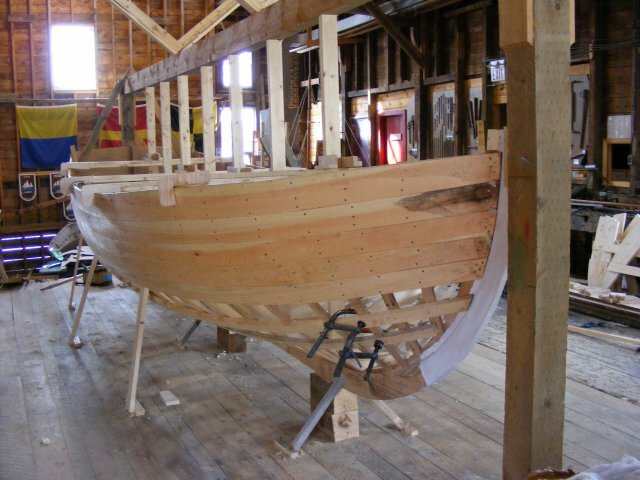 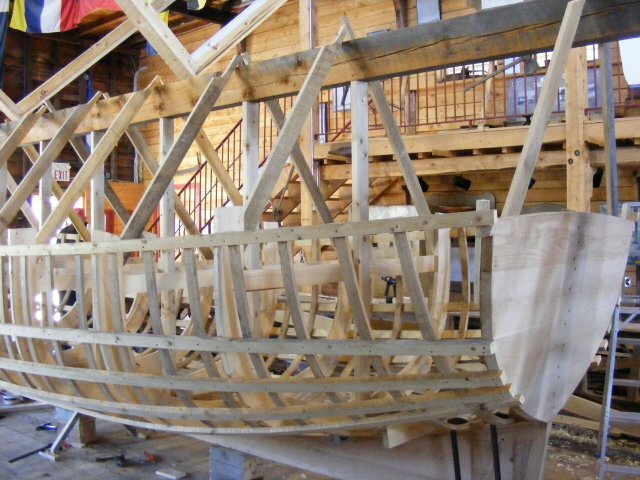 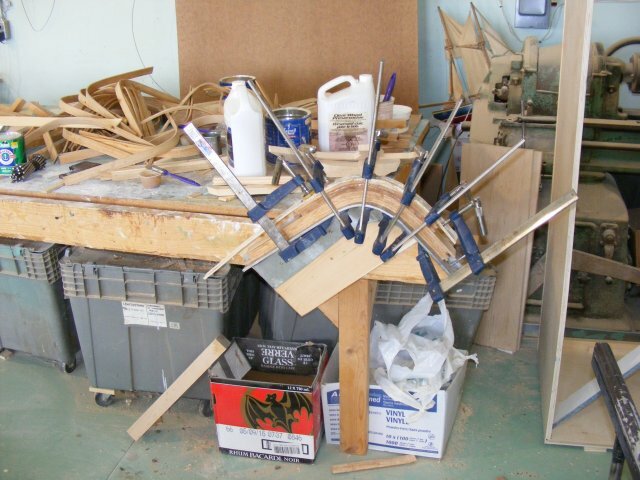 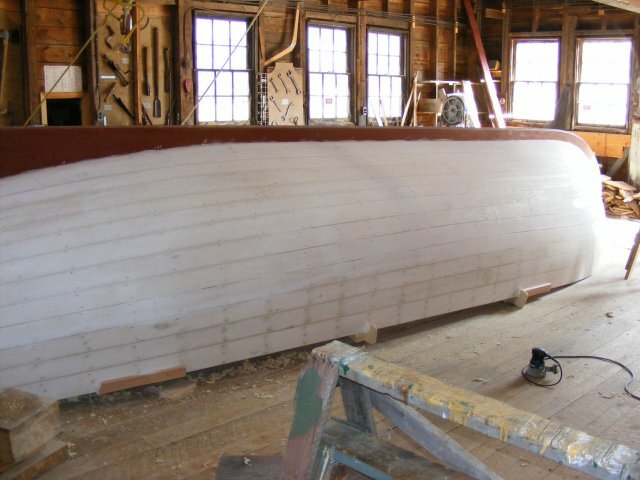 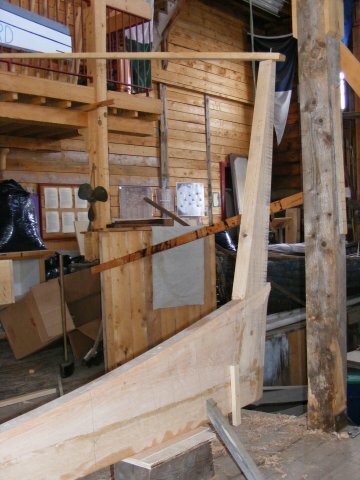 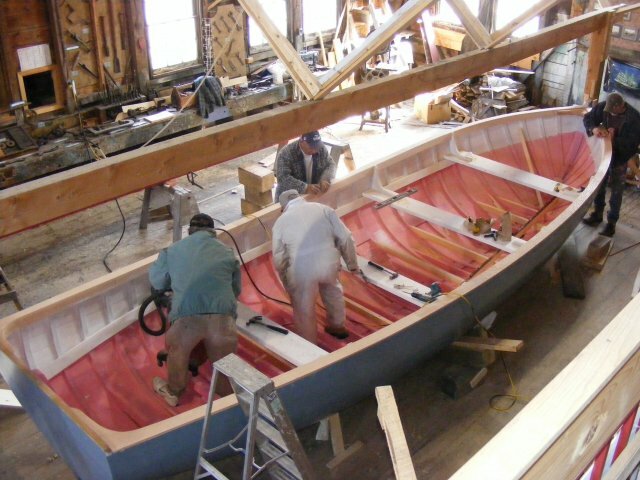 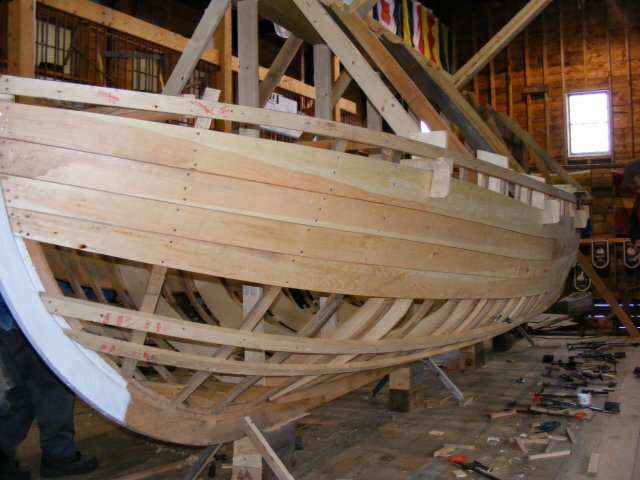 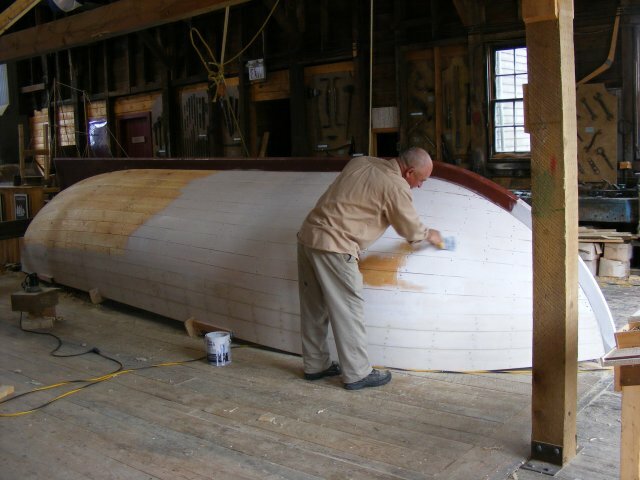 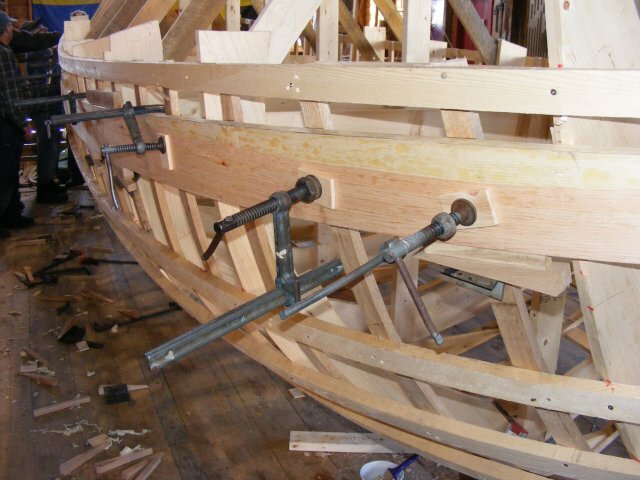 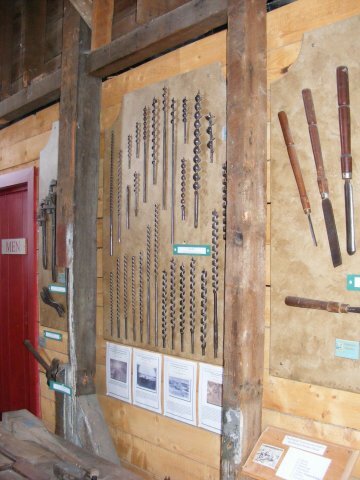 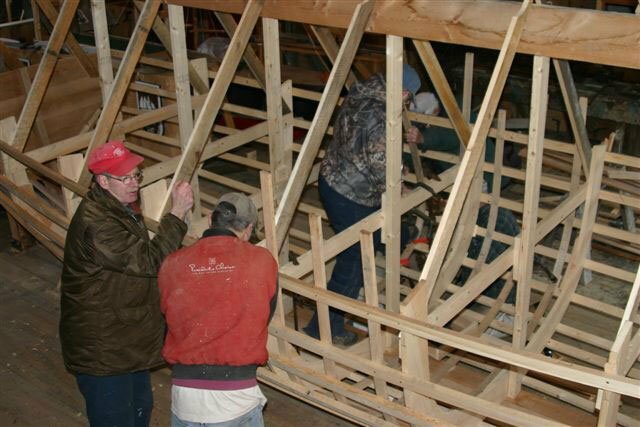 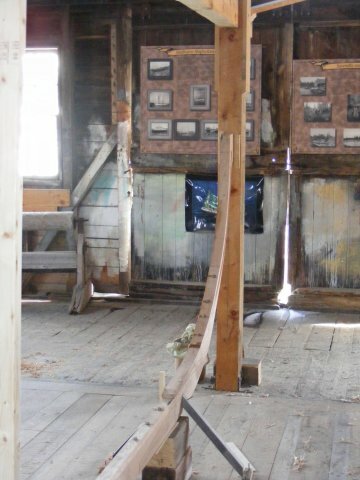 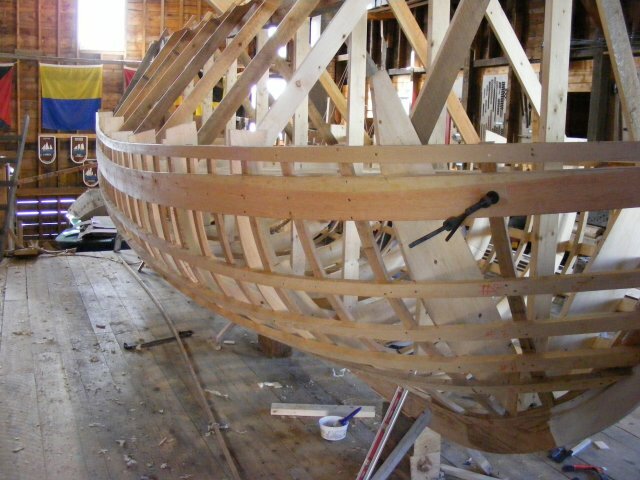 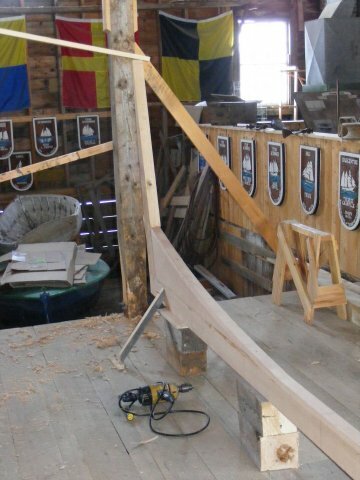 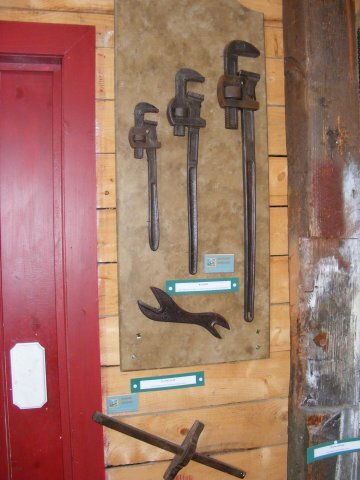 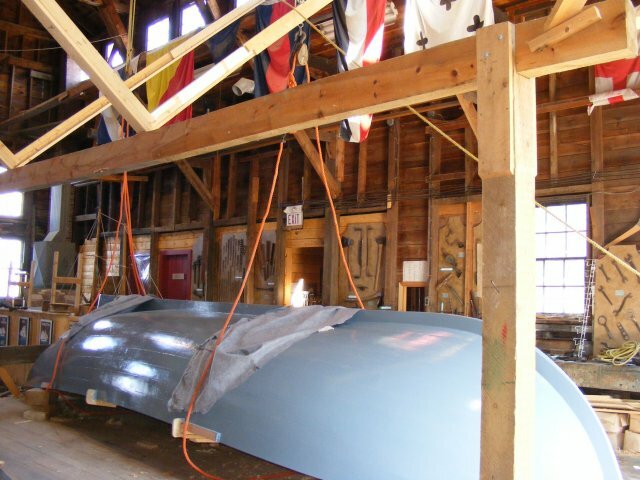 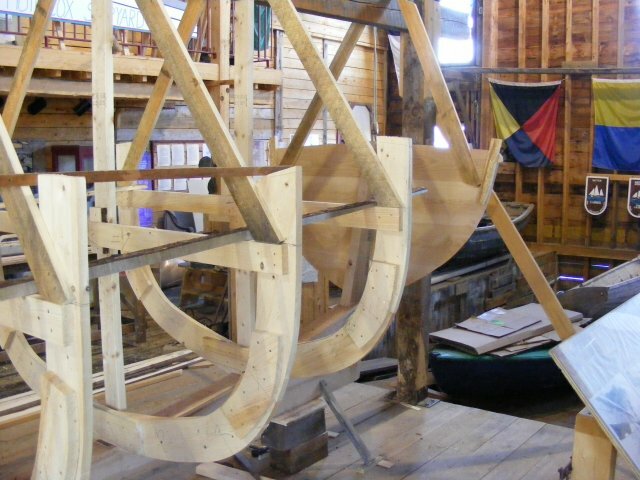 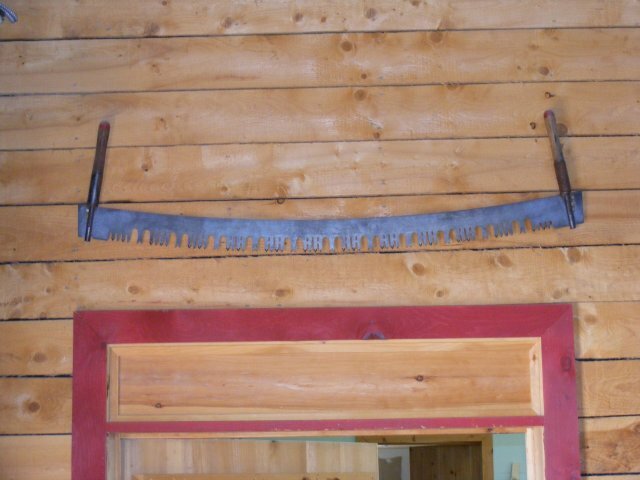 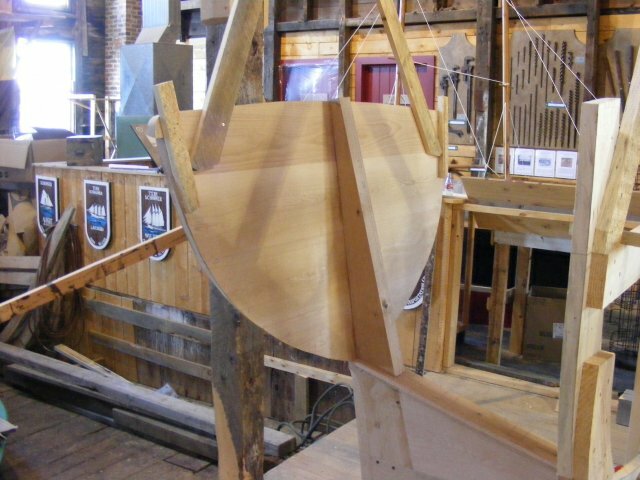 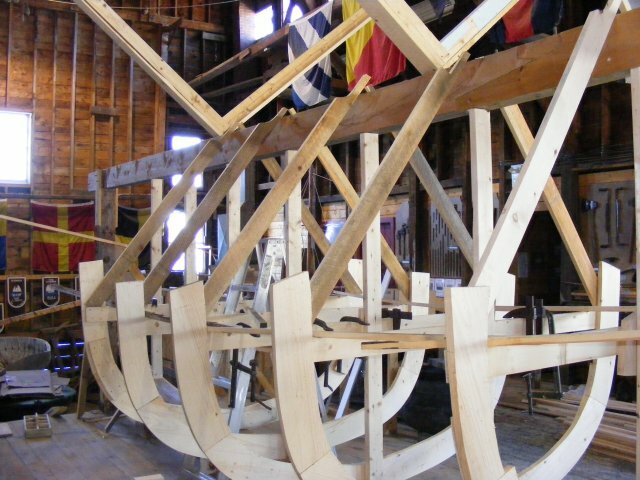 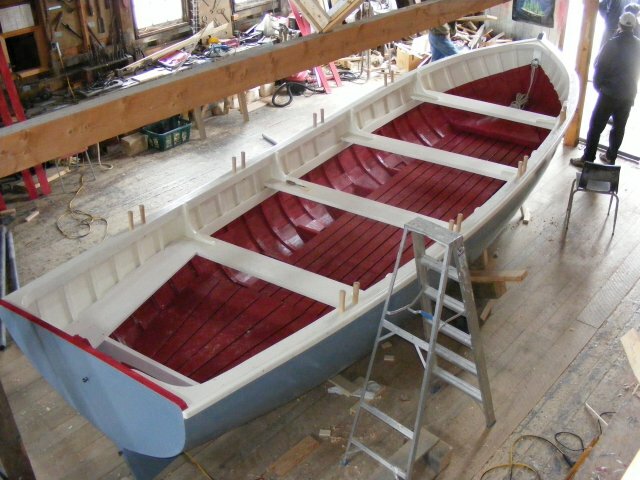 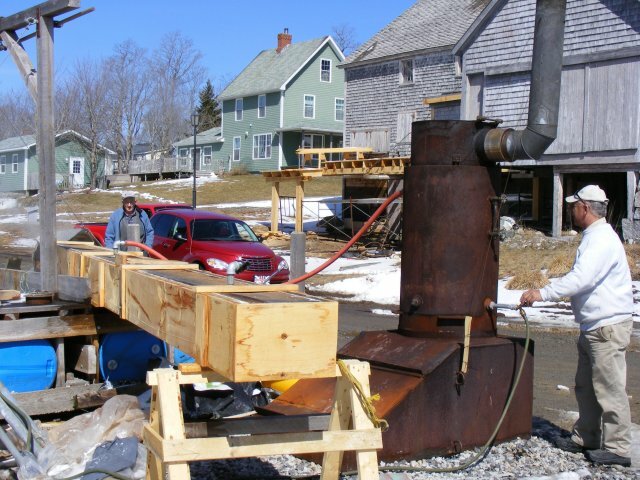 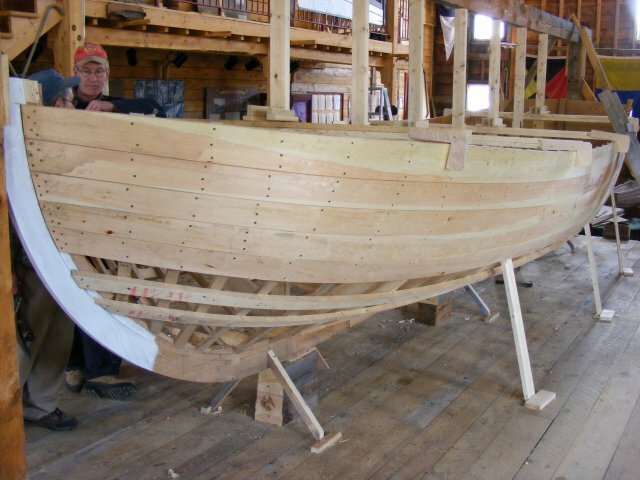 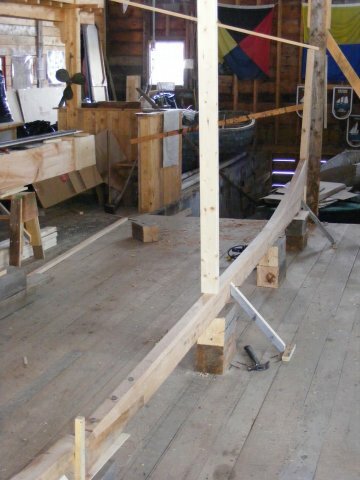 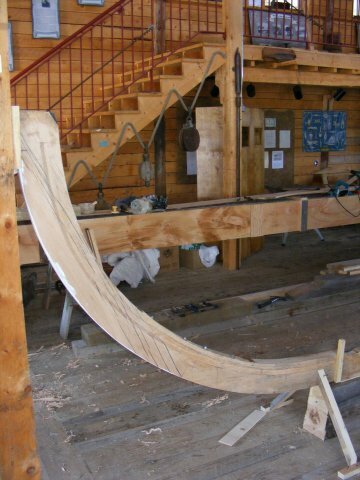 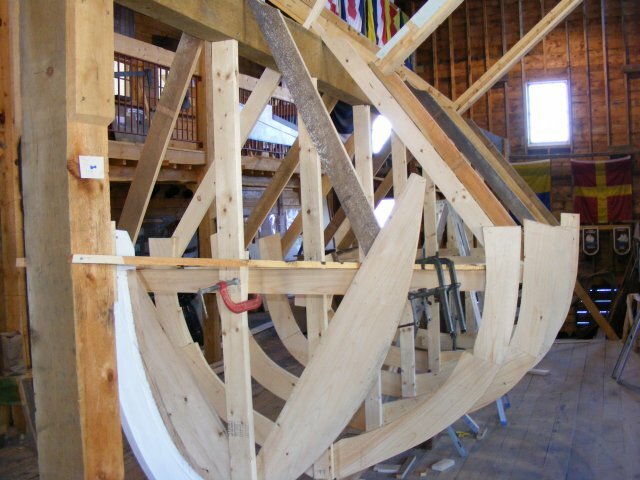 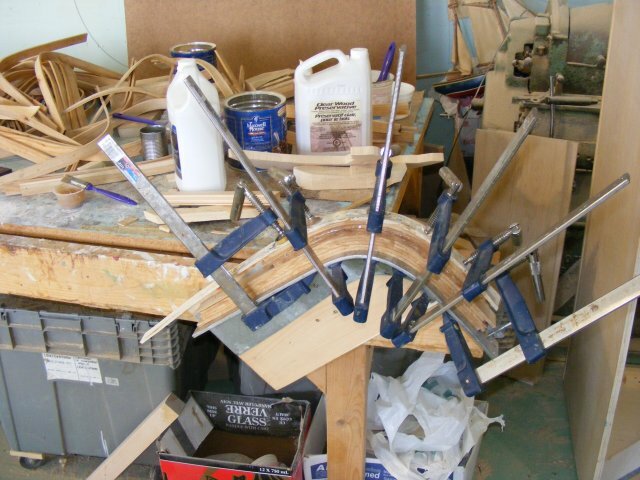 From the initial concept, planning, preparation for building and the actual construction, the Longboats turned back the years in Shelburne’s rich wooden boat building heritage. 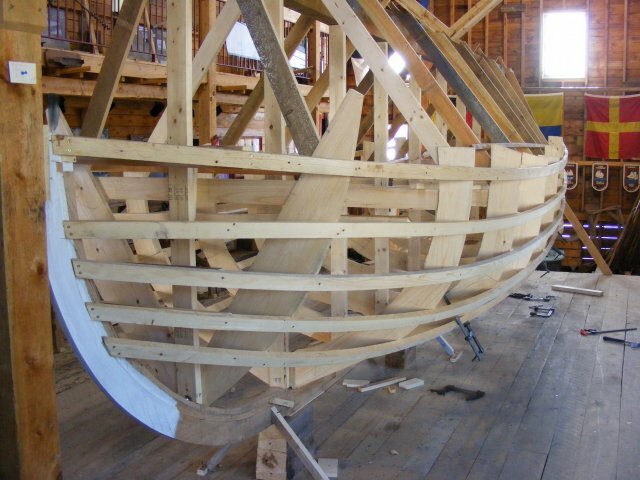 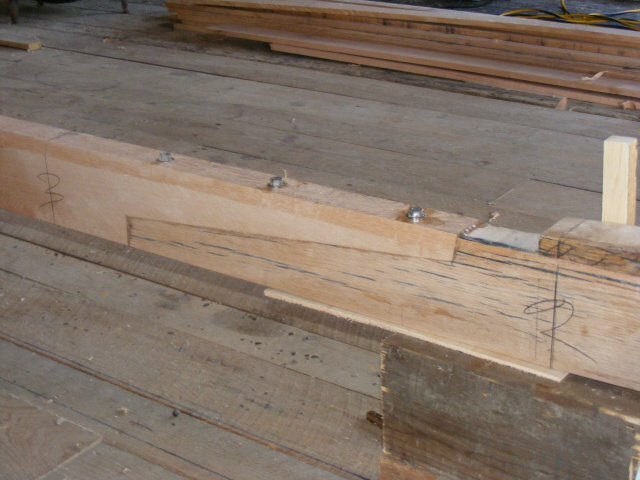 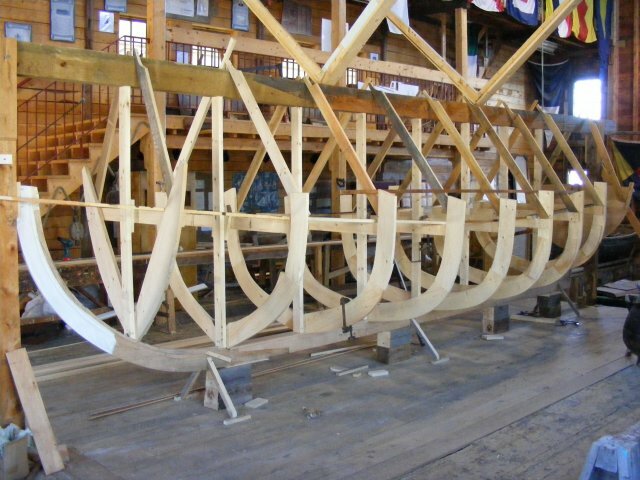 Built from the plans for HMS Bounty’s launch – used during Captain Bligh’s epic journey in 1789 – the Longboats not only represent that long-ago seafaring heritage, but they also represent passing on the knowledge of wooden boat building to the modern day. 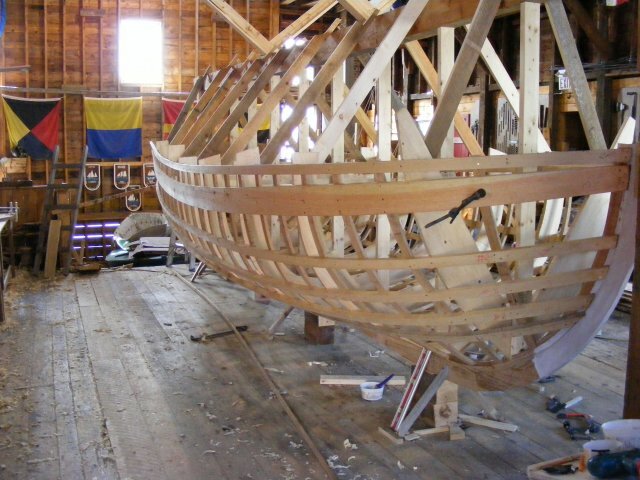 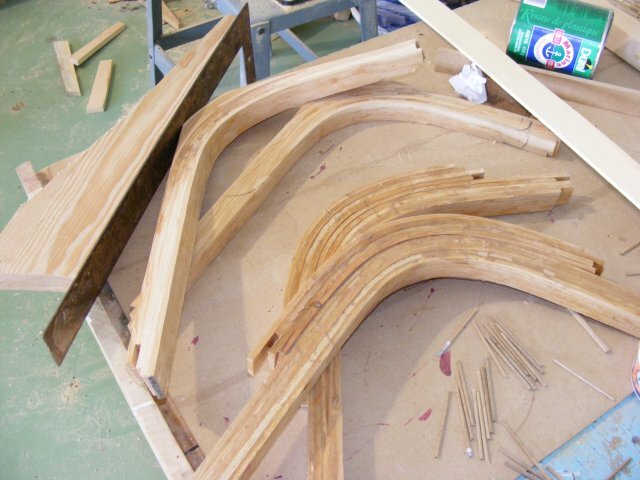 Below is a series of picture galleries covering the construction of the longboats.